Published on April 30, 2018 in Calcio. 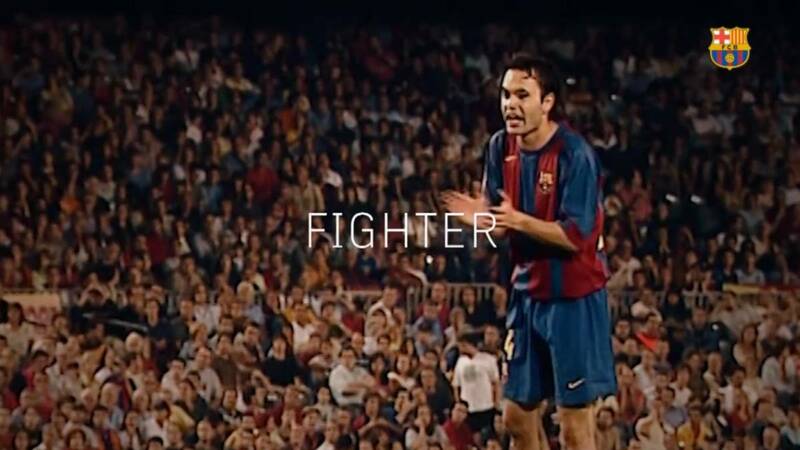 0 Comments Tags: Barcellona, Iniesta, tributo. Published on April 20, 2018 in Allenatori, Calcio, Generale, Mental coaching and Stress. 0 Comments Tags: Basket, Jan Vesely, pallacanestro. These words demonstrate that Jan Vesely but also the team, have not thought: “We have the talent and the skills to win” but they worked to develop their potential through effort, and practice. They understand the difference between to have the potential and to play at the best to achieve the result you want to achieve. Commitment, deliberate practice and strong task orientation are the secrets of this result. Great talent does not transport the players in great performances. The team has to dive itself inside the match, living each moments as it was the most important. This is the meaning of the sentence: “It’s just concentration.” It seems easy because it’s their job but going in deep it means “Do the right thing in the right moment” and in a fast tactical play like it’s top basketball, to play with this approach it’s a very demanding task. Published on April 19, 2018 in Allenatori, Calcio, Corsa, Generale, Giovani, Mental coaching, Olimpiadi, Stress, Tennis and Tiro a volo. 0 Comments Tags: peacefulness, psychologist, serenità. In this sense, the race has to be understood as a succession of instants that run continuously until the end of the performance, but the concentration is always on the present task, not in the past, not in the future. For all of us there is a lot to think on these issues being spoken too little, sometimes too busy to teach only the psychological techniques to deal with the competitions. 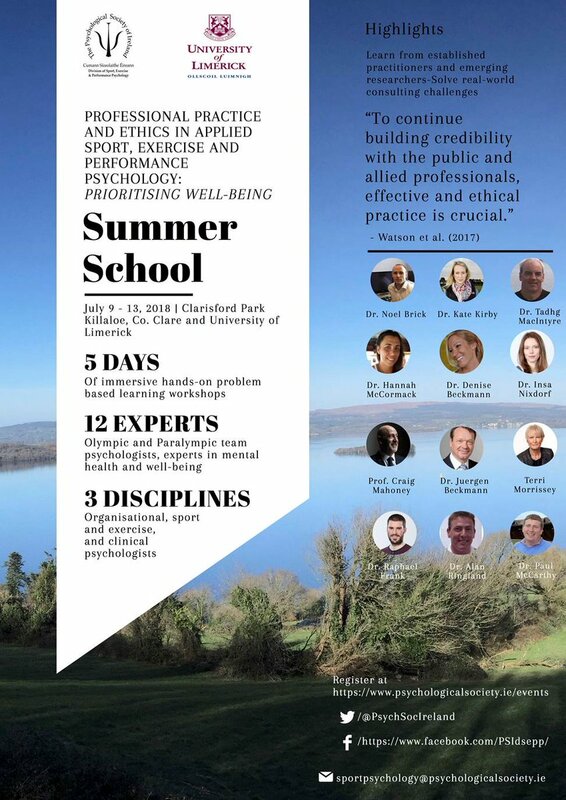 The Summer School in sport and exercise psychology, like this to take place in Ireland, are becoming a great reality. This shows that our discipline is booming. Find them on the web using as keywords: summer school, sport psychology. Published on April 17, 2018 in Allenatori, Generale, Mental coaching and Stress. 0 Comments Tags: coaching, etica, reinhard stelter, valori. 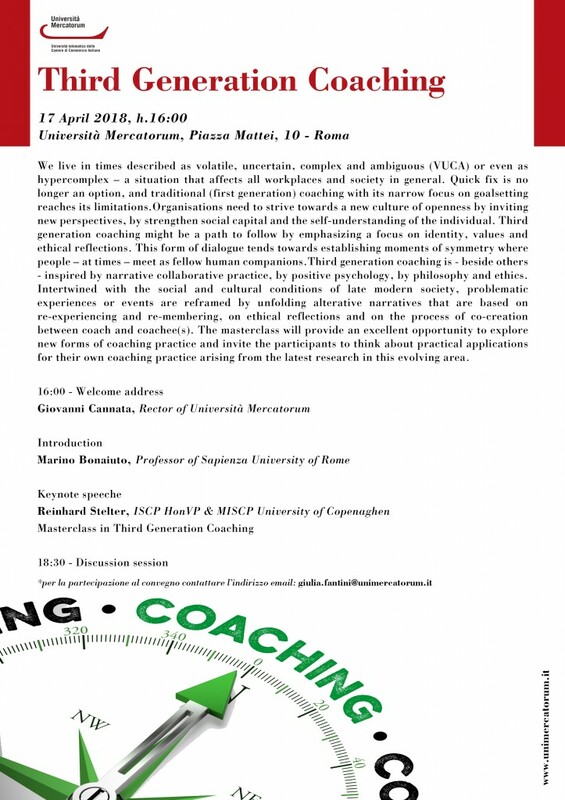 Today in Roma there will be the Conference of Reinhard Stelter regrading the social individual value connected to the coaching process, I propose again the review of his book about this topic. This book talks about coaching from a societal perspective. Since the beginning coaching has been interpreted as a process to increase managers’ skills and in any case as a system to approach and solve problems. Third Generation Coaching is oriented on values and create meaning underlying aspirations, passions and habits. This concept remember me the Amartya Sen identity idea, when he explains that every day we are part of different groups and in this way we have a multiple identity, build on this different contexts and roles. Thus, Third Generation Coaching talks about our identity, view as interpersonal process continuously in movement. Coachees and coaches live a space of self-reflection not to improve specific competences but to permit to the coachees to know better themselves and may be to see their life in a new perspective. Really, this coaching vision is an invitation to change stride, moving to a different interpretation of our life. For this reason Stelter underlines the main role played by values “as important landmarks for navigating in life.” Today where financial fraud in business and doping in sport are so diffuse, a changing process based on values and ethics became fundamental to guarantee social respect and freedom form illegal actions. In fact, Stelter developed this new coaching approach in a time where values are not very well represented in our society, where at the contrary every day the newspapers published news about bankruptcies or doping cases like the most famous is Lance Amstrong fall. The book talks about the necessity to build in professional or every life meaning-experiences, based on our past stories and the present in order to have a better future. Third Generation Coaching changed also the coach role, he/she became a facilitator of the coachee’s reflections concerning is cultural roots and social relations, very important because determining his/her confidence into the social environments. Third generation coaching proposes a form of dialogue where coach and coachee are focused on creating space for reflection through collaborative practices and less concerned with fabricating quick solutions. Aspiring to achieve moments of symmetry between coach and coachee, where their dialogue is driven by a strong emphasis on meaning-making, values, aspirations and identity issues. Coach and coachee meet as fellow-humans in a genuine dialogue. I can say that also in sport we assisted in an evolution of this kind in the program of athletes’ mental coaching. Till 10 years ago the programs for them were related almost exclusively to increase specific mental skills, to use during the most important events. 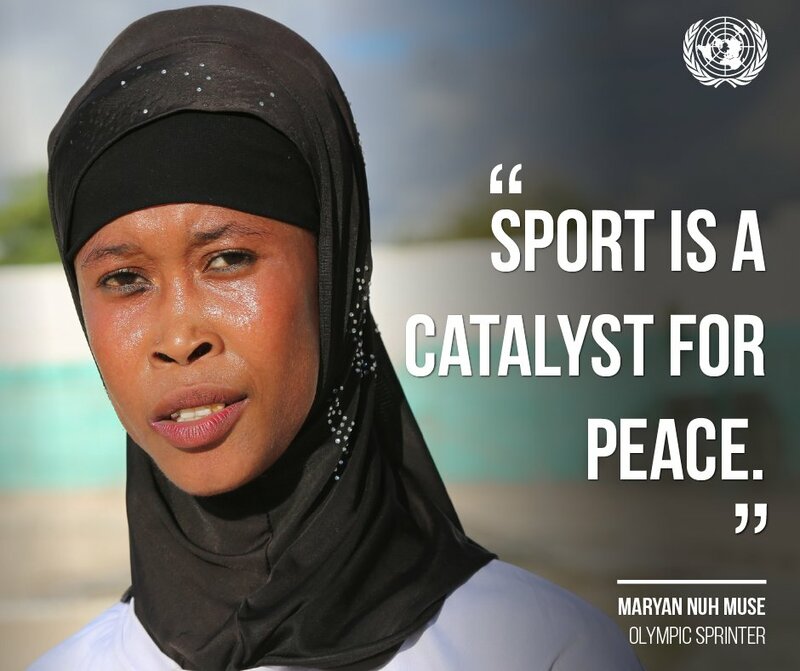 At this approach, successively, has been added an approach more oriented to reflect about their life style, to the positive role the athletes can play in our society, to doping as negative value for them and for the society because based on deception. Published on April 16, 2018 in Allenatori, Calcio, Mental coaching and Stress. 0 Comments Tags: calciatori, consapevolezza, Libertaea, Romania. It’s not easy to accept that the main limits of the team performance are in the psychological area. Giani Boldeanu talks about this subject in the Romanian football. Published on April 13, 2018 in Generale, Mental coaching and Stress. 0 Comments Tags: coaching, reinhard stelter. Interessante conferenza di Reinhard Stelter, Università di Copenaghen, sulle nuove prospettive del coaching. Published on April 6, 2018 in Corsa, Generale and Stress. 0 Comments Tags: maratona, Roma. Published on April 4, 2018 in Allenatori, Generale and Mental coaching. 0 Comments Tags: baseball, major league, mental coach, US. They’re not introduced in the opening-day pageantry. They don’t wear uniforms. They don’t have lockers in the clubhouse. Some even have weird titles, just to protect their anonymity. Yet, behind the scenes, there are proving as invaluable as any staff member in a Major League Baseball organization. Mental skills coaches, employed by a record 27 baseball clubs to open the 2018 season, are valued more than ever. “If you said mental skills before,’’ Chicago Cubs manager Joe Maddon says, “that was an absolute sign that you were weak among the old-school guys. Deep down, there were a lot of guys who wanted to talk to them, but they knew that if they were seen talking to them, it would be seen sign as a sign of weakness. And the manager might think less of him. “That was an absolute fact, and even today, I don’t think that stigma has been totally erased. To think that psychology is an indicator of weakness, truly is an ignorant statement. When people are fighting it, it’s only because they don’t understand it.